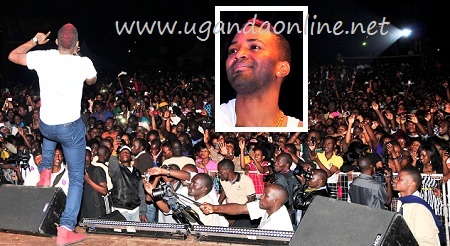 Konshens to thrill Kampala at a date to be communicated following the refusal of Mavado and Chris Martin. Konshens shall come along with Chris Martin. The Nigerian Promoter Chinedu is the one bringing Konshens back for the holiday makers to see him following his concert that found them at school. USDollars 40,000 was given to Mavado and rumor has it that Mavado's promoter is ready to cough back that money which was given to them. Other sources reveal that Mavado refused to come to uganda because he wasn't given all his money hence refusing to board the plane. Others say that the promoter refused paying for his girlfriend's flight yet he wanted to come with her for the Uganda show. Watch this space!